What makes people want to play nails-tough games? When do they risk feeling like a waste of time? On this week’s Kotaku Splitscreen, we discuss. 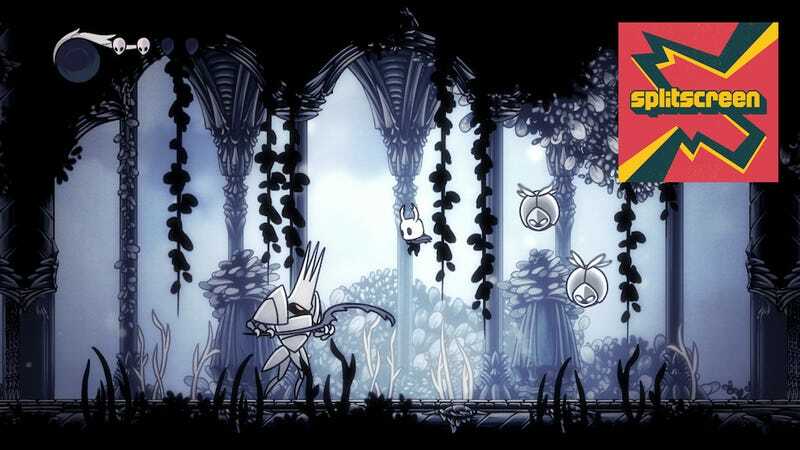 First, Kirk and I talk about GDQ and hot dog eating contests before getting into all sorts of video game topics like Cyberpunk’s E3 demo audio leaking, Google’s plans for a video game platform, and how the wonderful Hollow Knight has got us thinking about the appeal of tough games. Kirk: ...If I don’t beat [Hollow Knight’s true final boss], it’ll just feel like such a defeat, and I hate that feeling, even while I’m thinking, ‘I could be practicing guitar right now... I could be doing anything except trying this boss fight for the 30th time.’ And I dunno, it’s got me thinking in general about why we take on the challenges in games that are already hard, and the psychology of that and why I feel like I need to do it. Do you get that feeling, when you play really hard games? Kirk: That cut-scene I could’ve watched on YouTube. Jason: It almost feels like eating fast food - it’s not nourishing sometimes. Sometimes it does feel nourishing, though. Kirk: I feel almost like I’m a hamster who’s learned a really complicated light matching pattern. OK, here come the sideways swords, go right, jump, around, over. I have the sound turned way down, and as I take a cooler and cooler approach to the fight, I do better... I’m really good at Hollow Knight now. When I play against regular bosses, it’s just a joke, I feel really fluent at the game, so there’s that. But I agree that there’s this question of diminishing returns - I’m allowing myself to be subjected to this weird science experiment where I’m just trying to learn a bunch of patterns and then flawlessly execute them as my heart rate gradually picks up. Just this morning I got to the second phase with all of my health, and I was like, ‘Oh my god, oh my god.’ And then adrenaline is cranking through your system, and your heart is beating, and you’re trying to focus, but you can’t keep the distance and remove that you need to match all the sequences and just keep up the constant perfect input you need to do, and it’s a really weird process compared to what most video games demand of you. Jason: Do you ever think, ‘Oh my god I spent all these hours in Hollow Knight, I could’ve been doing something more enriching’? Kirk: Yeah... I think that about video games in general. For much more, listen to the full episode. As always, you can subscribe to us on Apple Podcasts and Google Play to get every episode as it happens. Leave us a review if you like what you hear, and reach us at splitscreen@kotaku.com with any and all questions, requests, and suggestions.